1) Go back in time at Cabbagetown. Photo by Steve Browne & John Verkleir. I expected to be awed by the skyscrapers that make Toronto’s skyline (Read: Walking on The Edge of Toronto). What I didn’t expect was a time warp in the middle of the city! 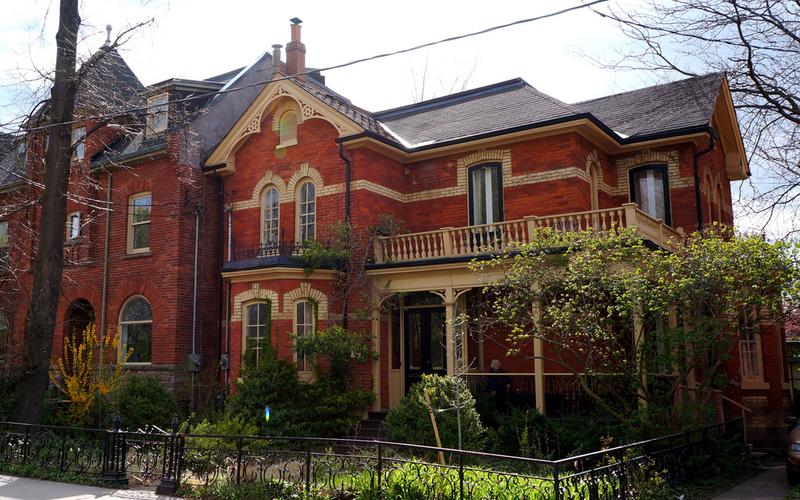 Lose yourself in the well-preserved Victorian-era neighborhood of Cabbagetown, on the east side of downtown Toronto, with beautifully restored Victorian townhouses and friendly neighborhood cafes. The quirky name comes from Irish immigrants, who settled here in the 1840s, and were so poor that they could only grow cabbage in their front yards. The area’s social status has changed a lot since, but its colonial charm remains. 2) Feel at home in a typical Toronto neighborhood. Strolling along the suburbs of Toronto. I’ve found that the best way to feel the pulse of a city is to stroll around residential neighborhoods that don’t feature on any maps. Luckily for me, my friend and fellow blogger Mariellen Ward invited me to her pretty studio apartment in a typical Toronto neighborhood. We browsed through the local market, watched people go about their daily chores, and had lunch at a neighborhood Thai restaurant; a quintessential Toronto afternoon. Even if you don’t know a local, take the subway or street car, and get off on impulse near any neighborhood that looks inviting. 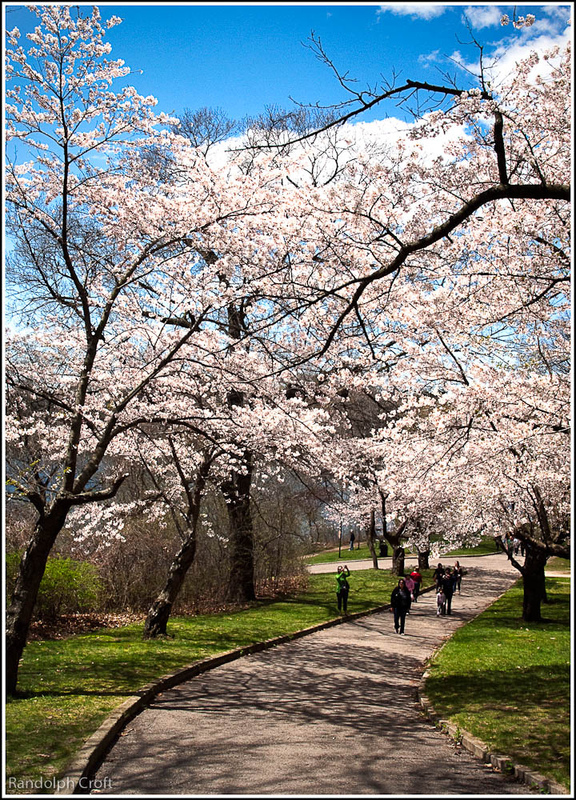 3) Fall in love with cherry blossoms at High Park. Most people think of Japan when they think of cherry blossoms. But Mariellen’s blog let me in on a secret – cherry blossoms in Hide Park, in spring! Her photographs are the closest I’ve gotten to falling in love with them, but if you’re going to Toronto, you have to beat me to it. 4) Rest in peace at Mount Pleasant. Photo by Amber Dawn Pullin. 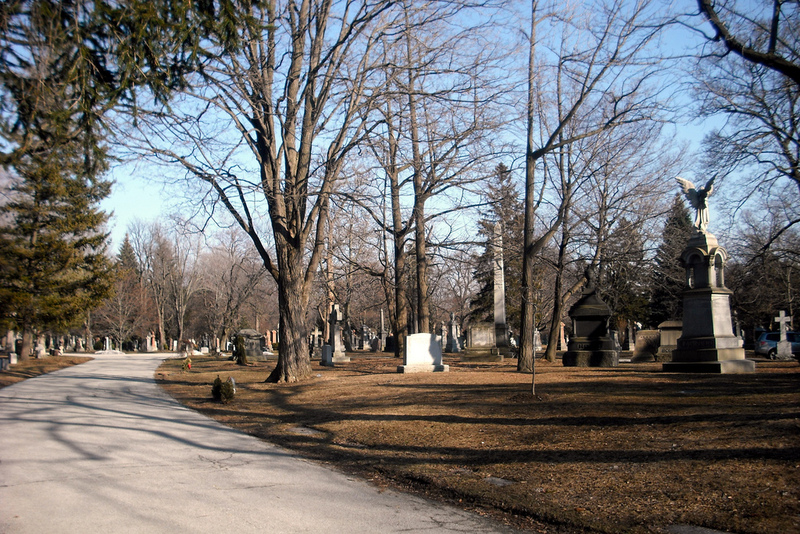 Perhaps not everyone’s idea of an ‘attraction’, Mount Pleasant is a timeless cemetery. Small paths adorned with colorful trees and ponds lead you among the graves, carved with heartwarming goodbyes. Named a National Historic Site of Canada for its charming architecture, you feel a certain peace here, in accepting death. 5) People watch at Kensington Market. Graffiti at Kensington. Photo by Y’amal. 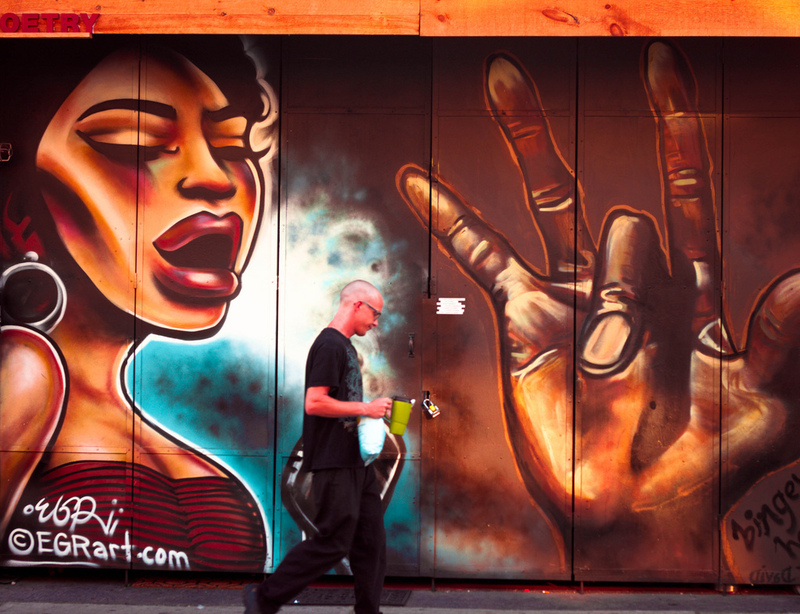 One of Toronto’s most famous markets, Kensington is a glimpse into the city’s cultural and artistic inclinations. I found myself strolling along the market with a Canadian friend I had met in Bahrain, fascinated by the creative graffiti, quirky street art (like a garden blooming on the roof of a vintage car), and chic cafes. Wander along the back lanes of Kensington and you might think you’re spinning on a globe! 6) Skateboard at Cummer Skatepark. What’s more fascinating than watching a bunch of middle school kids do a back flip on their skateboard? Learning to skateboard yourself. There’s plenty of inspiration to be found at Cummer Skatepark, together with free skating lessons for first timers. And even if whizzing around on a board with two wheels isn’t your thing, go just to feel young and full of life again. 7) Get a taste of country life at Riverdale Farm. 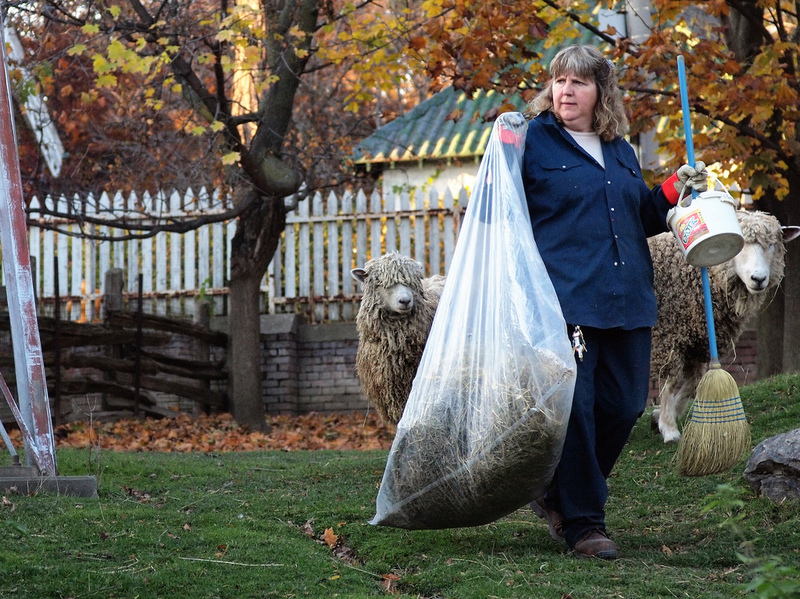 Far from the hustle-bustle of the city and yet right in the middle of it, Riverdale is a working country-style farm in Cabbagetown. Smell the freshness of the veggies, watch sheep and horses trotting around, hear the call of chicken, and chat up a farmer working on in the sun. This is as close as you can get to the countryside of Canada in Toronto. What free things would you love to do in Toronto? Yes, I loved walking around there too …a long time back! Dunno when next…! Cherry blossoms in Canada! I had no clue. As you rightly said, we usually think of japan or korea for cherry blossoms but glad to know they exist in Toronto as well. Who knew! Exactly! The city is full of surprises. 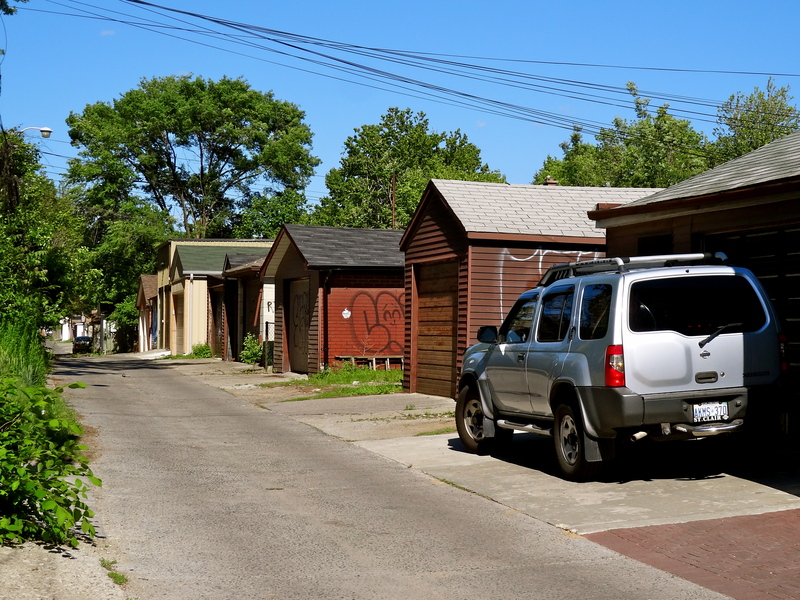 I agree that the best way to know a city is to stroll around its residential neighborhood. The idea of getting off on impulse at whatever looks promising is also cool. That’s the true way of traveling. Spend no big bucks, yet extract the essence of a place. It was interesting to read about the Victorian era neighborhood of Cabbagetown. “A time-warp in the middle of the city” as you rightly stated. Another thing that captured my attention was the cherry blossoms in Canada. I would love to see them someday and add it to my bucket-list for now. I lived, biked and worked in Toronto for over 20 yrs., then Vancouver for 8 yrs. You must have found Canada absolutely huge … huge tracts of wilderness/rural areas. Previous PostGod’s Own “Island” by the Backwaters of Kerala! Next PostHow to Earn Money While Travelling?